Dr. Nitin Malhotra is double board certified in Pain Medicine and Anesthesiology by the American Board of Anesthesiology. Originally from the Western Suburbs of Chicago, he went on to receive his Bachelor of Arts and Medical Doctorate degrees at Saint Louis University. 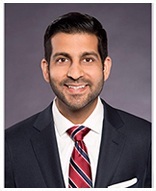 He followed this by completing residency in Anesthesiology at University of Louisville where he served as Chief Resident and a Fellowship in Pain Medicine at the University of Chicago. Dr. Malhotra is an expert diagnostician of chronic pain syndromes and utilizes a multifaceted approach to treatment that may include interventional procedures, medical management, physical and psychological therapy and alternative remedies. He takes particular interest and excels in ultrasound guided techniques that allow for prolonged continuous nerve blocks that both promote accelerated rehabilitation and reduce in the severity of chronic pain. 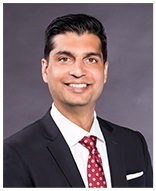 Dr. Malhotra is originally from the Western Suburbs of Chicago and returns to serve the community as a pain management specialist at Expert Pain Physicians. 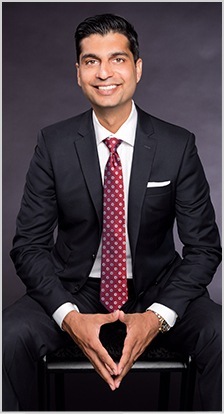 Dr. Malhotra combines his expertise in the latest interventional, minimally invasive pain management procedures with a holistic, multidisciplinary approach to effectively treat pain. As a previous victim of chronic pain himself, Dr. Malhotra empathizes with his patients as they work together to decrease pain, increase function, and improve quality of life through individualized treatment plans. I have been Dr.Nitin Malhotra's patient for 2 1/2 years and find his expertise consistent! I consider him my Miracle Man, not the "hocus-pocus" type, but rather the "precision" type! I couldn't believe it when I temporarily lost contact with him, but I was so relieved and happy to see he opened his own practice!